Bio Notes: Alexander Esmé Gordon was born at Ramsay Gardens, Edinburgh on 12 September 1910, the son of Alexander Shand Gordon, WS, and Elizabeth Catherine Logan. He was educated at Edinburgh Academy and studied at Edinburgh College of Art from 1928. He spent his year out with Burnet Tait & Lorne in London, and returned to the same firm as a qualified assistant in 1934, working on St Andrews House, Edinburgh, Kirsop's, Glasgow, the 1938 Empire Exhibition, Glasgow and several English projects including the limited competition for a house for King George V and the Curzon Cinema. He worked mainly but not exclusively under Tait and his senior assistant Andrew D Bryce. He had won several minor scholarships which enabled him to make sketching tours of England and two month-long trips to Italy (in 1931 and 1933), and in 1934 was awarded the Owen Jones Scholarship, which he used to travel again to Italy the following year. He was admitted ARIBA on 2 December 1935, his proposers being John Begg, Alexander Lorne Campbell and Frank Charles Mears. In 1937 Gordon commenced practice on his own account at 34 Castle Street, Edinburgh, having spent part of his time in the Edinburgh office under James Wallace and gained a part-time appointment at Edinburgh College of Art. In the same year he married Betsy McCurry from Belfast, a piano graduate of the Royal Academy of Music in London and around this time he was joined in partnership by James Robertson, working with him as Robertson & Gordon until c.1940 when he commenced war service with the Royal Engineers, initially working on canteens. He later saw active service and was involved with reconstruction work at the end of the war in Normandy and the Netherlands. Gordon took his former assistant William Gordon Dey into partnership in 1946, after they had returned from war service. He was admitted ARIAS in 1948 and FRIBA in 1956, proposed by John Ross McKay, Leslie Grahame MacDougall and Thomas Waller Marwick by which time he had moved his office to his former home at 36 Heriot Row, and was living at 11 Greenhill Gardens. In 1966 Gordon designed and built a house for himself in Greenhill Park. This is one of the few post-war private houses which has been listed (Category B). 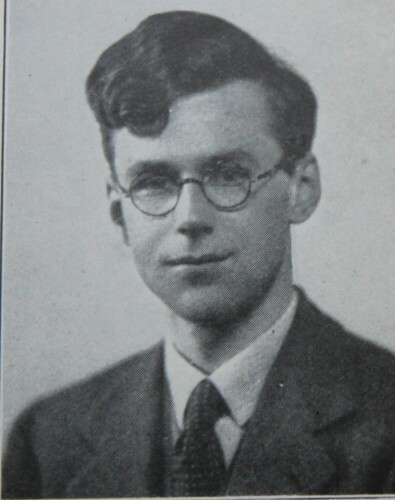 In his early post-war years Gordon specialised in church work, writing a book on the subject ‘The Principles of Church Building. Furnishing Equipment and Decoration’ but he later undertook major educational projects for Heriot-Watt and Moray House. Gordon served as president of the Edinburgh Architectural Association from 1955-57 and designed the Centenary Bronze Medal to be awarded annually from 1957 onwards. He was elected ARSA in 1956, RSA in 1967 and 17th Secretary and historian of the Royal Scottish Academy in 1973, holding this last post until 1978. He retired early in order to devote himself almost full-time to the RSA, making some notable discoveries in the archive and researching and producing its history in time for the 150th Anniversary in 1976. In person Esme Gordon was of middle height, stocky in build with a crop of upright hair which he retained to the end. He was a superb draughtsman and watercolourist, an important collector of Oriental art of which he had a profound knowledge, and had a delightful personality. He died in the City Hospital, Edinburgh on 31 May 1993. His wife had predeceased him in 1990. He was survived by his sons Giles (who died in Edinburgh in 2003) , Christopher who lives in Hampshire, and his daughter Celia who lives in Oxford. A memorial exhibition was held at the RSA in 1994. 1936 Duncan of Jordanstone College of Art Dundee Scotland Competition design (unsuccessful) - information provided to DMW by Alexander Esmé Gordon in response to questionnaire in the 1980s. 1953 St Andrew's Parish Church Edinburgh Scotland Alterations to pulpit, redecoration and plaster ornament in vestibule. 1960 Moray House Training College Edinburgh Scotland Alterations and additions and new gymnasium.